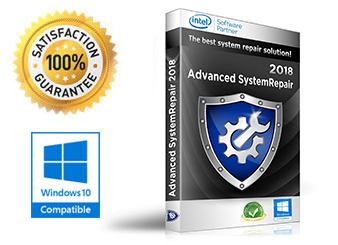 Advanced System Repair is the world’s most popular optimization software for a reason. Every day, computer users all over the world experience the benefits of faster machines thanks to the magic of Advanced System Repair. Advanced System Repair takes only seconds to download and install. Once it’s been installed, users simply press ‘Scan’ to identify any problems that may exist on their system. At this point, Advanced System Repair takes a close look at the Windows Registry as well as many other parts of the system. The program looks for any signs of corruption, viruses, or un-optimized files. Advanced System Repair identifies all of these problems and then lists them for the user. Once the user is ready to proceed with the optimization process, they can simply click ‘Fix All’ to instantly repair all of the problems that are listed. With just a few clicks, a computer can go from feeling like a near-useless antique to feeling like a brand new machine again. In short, Advanced System Repair helps users unlock the full potential of their computers. Instead of watching a computer’s performance slowly dwindle over time, you can make your computer perform like a brand new PC again with just a simple quick scan.